hi im salt and thats pok and thats aflame. we are running A Shop together in hopes that it will make us Not So Broke and able to fund our expensive habits. together we are all members of the artificer's association and we have joined all currently available societies -- dark brotherhood, society of the trident, and the herbalist guild. 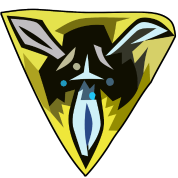 this means we have all exclusive critters and also sometimes we have shards too. on like, a really limited basis. Last edited by salt on August 30th, 2018, 3:45:46 am, edited 16 times in total. so i specialise in low percentages and other things that i dont want will also be sold here. i accept creatures for trade !! however, i will only accept half at most of the value in creatures. there's no form that needs to be used; all i ask is that you keep your orders nice and...you know, organised. note: not really new stuff, just higher-than-needed percentages. Last edited by salt on April 3rd, 2019, 12:29:57 am, edited 76 times in total. i can also take orders for shopbuying + hatching !! prices for each individual creature + hatching fee are all listed below. prehatched stock is also available in the tab linked above. Last edited by salt on March 27th, 2019, 3:02:53 am, edited 40 times in total. Last edited by Pok on August 31st, 2018, 1:54:16 am, edited 19 times in total. You can order up to 10 at a time. Last edited by Pok on February 5th, 2019, 3:51:01 am, edited 9 times in total. stream and hybrid and pond critters for sale! event and quest critters for sale! things that I froze for some reason! gold: purchase from me at least 5 times and get 15% off all orders ! ✼ 3-31-19 - stock and prices updated with all new critters! ✼ 12-25-17 - christmas creatures added to stock! Last edited by Aflame on March 31st, 2019, 9:47:39 pm, edited 192 times in total. Last edited by Aflame on March 31st, 2019, 9:42:36 pm, edited 48 times in total. Ruzio can I please have the Sanus hatchie? Please freeze it below 1%. Could I please get the following? I know I told you I don't care about percentages... but stream borns are an exception Thanks Ruzio, fi you just want to send the trade, I could total it all up if that's easier for you!